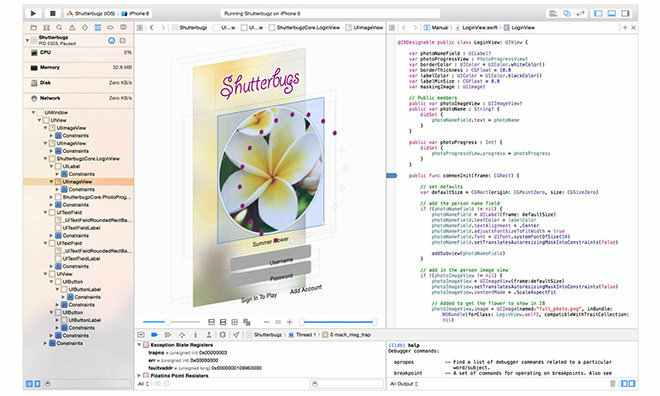 Apple on Tuesday issued a minor update for Xcode, improving stability and fixing what the company said are "critical issues" associated with debugging, playgrounds, and Interface Builder. Xcode 6.3.1 is now available to download from the Mac App Store. For new downloads, it's a 2.57-gigabyte install that requires OS X 10.10 or later. Tuesday's release is a relatively minor update intended to squash bugs in the software. The last major update to Xcode arrived earlier this month in the form of Xcode 6.3, featuring new compilers for the Swift programming language, and software development kits for new hardware like the Force Touch trackpad found in the latest MacBooks. The latest versions of Xcode also include a new crash reporting tool that works in concert with TestFlight reports to aggregate results in-app. A revised Organizer window also helps developers keep everything tidy. Swift 1.2 includes its own improvements, including faster compile times, language refinements to "let" and "as," a standard library and a tool to help developers migrate software from Swift 1.1. Developers looking to update their existing apps for iOS have until June 1 to support 64-bit processors and iOS 8. After that cut-off, updates built on code solely for legacy hardware and software will be rejected.